Renewal of your WIA membership is now managed online via the WIA's MEMNET member management system. How do I log into Memnet ? To renew your WIA membership simply click the following Link or select "Log into Memnet" from the Members dropdown menu above. 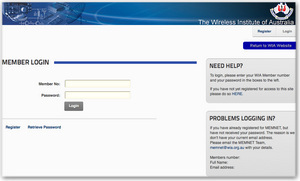 To Login to MEMNET you will need to use your WIA membership number and Password. If this is your first time using MEMNET, and you dont know your membership number or password, then you will find your membership number and your membership paid to date printed on the mailing address sheet included inside the plastic wrapper of your AR magazine. Once you have registered to use MEMNET a temporary password will be sent to your email address, using this temporary password you can login to MEMNET and update it with a secure password of your choice. 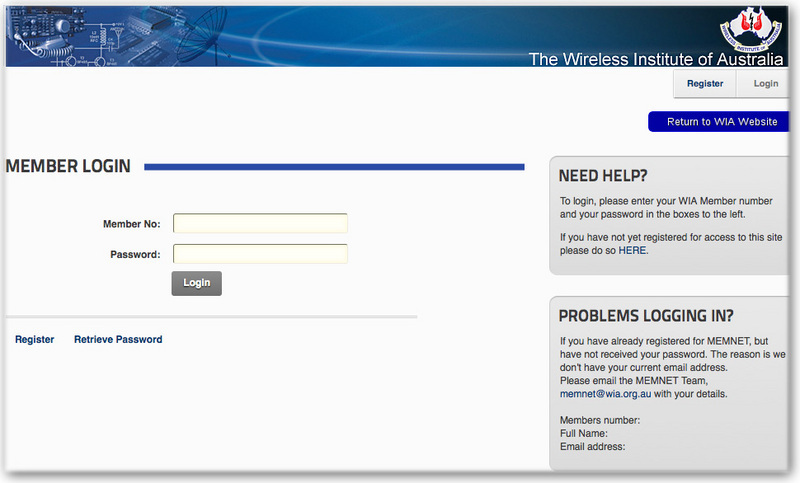 First time users may find the downloadable PDF file below "How to Register for Memnet" helpful. You will now have the option, to change the frequency of your subscription from 1 to 5 years, and renew your WIA membership subscription. You can use Mastercard, Visa or Bpay to pay for your membership renewal. Please note that you can only pay within 120 days of the membership expiry date. You current membership expiry date is printed on the mailing address sheet included with your AR magazine. From within the My Subscriptions section of MEMNET you are able to view and download your Receipt for payment and Tax Invoice.